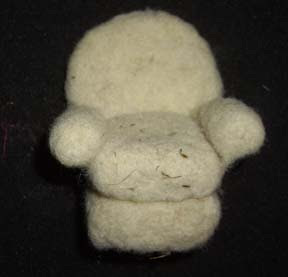 The Comfy Chair is a dry needle felting sculpture. It's about 2 1/2 inches tall. I started with a baseball size chunk of loose wool and needled it down to the square you see next to it. It takes a while to do it, but it's a lot of fun. You squish the wool as you needle it, turning and shaping with the needles. For this part, I used a needle holder with three needles. You'll notice that none of the pieces are perfect, and that's fine with me. I made all the pieces I would need to construct the chair before I started assembling it. The two squares are the base and cushion. 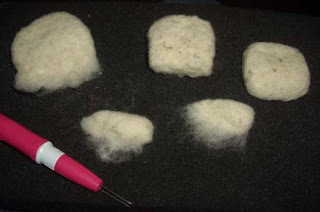 The other three pieces that have fluffy sides are the back and arms of the chair. I left the fluffy sides to make it easy to attach those bits with the needles. 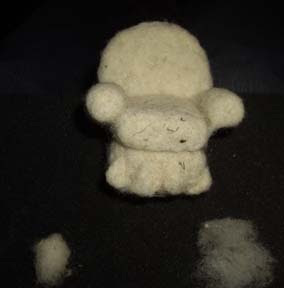 All the fluffy bits helped to make the assembled chair nice and firm. 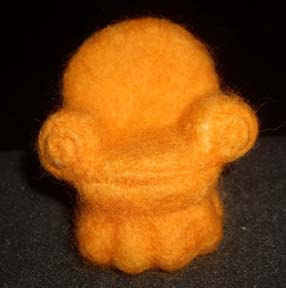 I decided that the chair needed a ruffle around the bottom, so I made little bits tapered and fuzzy at both ends. I needled them into place and shaped with the needles, as well. 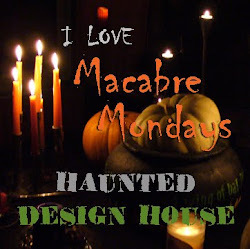 I love orange, so I chose this fabulous finishing wool to cover the chair. This part happens in layers. If you tried to do it with thick layers, it would change the shape. Thin, multiple layers are the key to a successful piece. 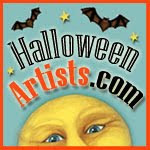 When I finished the covering process, I added details with a single needle. 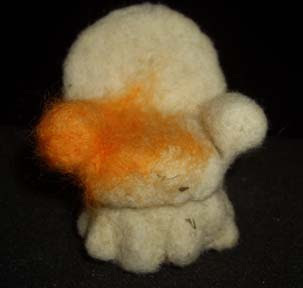 The swirls on the end of the arms and the front edge of the cushion were quick and added character to the piece. 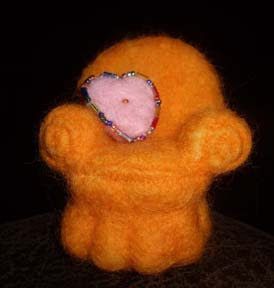 The focal piece was needle felted, as well. It started as a bit of pink finishing wool needled in the same manor as the ruffles. I needled the center first, then caerfully needled the bottom into a point. I say "carefully" because, in order to make a point, you have to press the point down with you fingers as you work. I probably jabbed my fingers twenty times. The other end was shaped into the devided top. The last part was beading the the heart. It took me a good six hours to make. 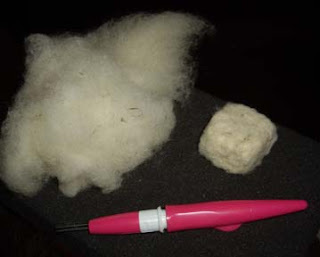 I'm not a professionl felter. If you are, please tell me if it goes faster the more you practice.